Welcome to Sweetland’s first-ever fully online newsletter. I think you will enjoy the enhanced visuals, the navigational possibilities, and the more capacious space for descriptions of our work. And speaking of work, our unit has taken up an entirely new area of endeavor this fall. Effective in September 2013, Sweetland has been assigned responsibility for supporting multilingual/international undergraduates at U-M. We have hired two new colleagues, Jing Xia and Lori Randall, who bring expertise in English language learning, and we have launched several new courses. Writing 120 serves first-year students who want to develop their capacity to write academic English; Writing 240 helps students understand US-style academic lectures and use that rhetorical knowledge to produce their own presentations; and Writing 340, designed to be taken concurrently with an Upper-Level Writing Requirement course, helps students understand the vocabulary and discourses of their majors. Another new dimension of our support for multilingual undergrads is translingual peer tutoring. Multilingual students are invited to discuss their English-language writing in a more familiar language with peer tutors who share that language with them. In addition to expanding their on-campus services, our peer tutors had an opportunity to share ideas with peers from elsewhere when they attended a national conference. 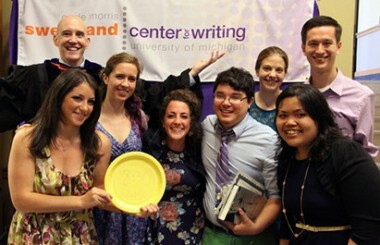 With funding from the Rackham Graduate School, Sweetland also expanded its support for graduate student writers by increasing the number of Dissertation Writing Groups and by adding new writing groups for students in MA programs. 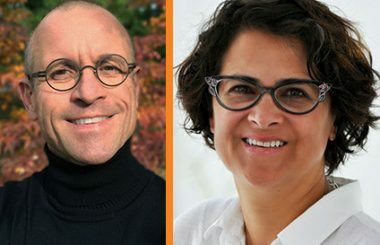 Writers at all levels who are confused about issues of citation will benefit from the Beyond Plagiarism project, which Associate Director Naomi Silver is helping to lead. Our Minor in Writing continues to grow. We just accepted another 36 students who will take the Gateway Course in Winter 2014, and last May our first cohort of Minors graduated. You can see some of their capstone electronic portfolios in this issue. As the next few cohorts graduate, we will be able to learn more about student writing development by studying the writing our Minors have produced across all four years. And it is not just our Minors from whom we are learning. Sweetland continues to collaborate with the Departments of Chemistry and Physics to integrate writing into learning about science. These are just some of the highlights of the past year. You can learn more about Sweetland’s programs in the following pages…I mean, screens.